Be Broadband has announced that a customer from North Lanarkshire is on its fastest broadband connection. Graham Wilson really is living the broadband dream - his connection purrs at 24.573Mbit/s when some consumers have access to just 1Mbit/s or even lower. The reason? Wilson lives just 443 metres from his exchange in Wishaw. "Speeds are phenomenal, from a good download location speeds between 22 and 24 Mbit/s are easily obtainable, Pings to gaming servers are low..."
Be claims it has the fastest broadband speeds in the country. The company cites a survey by Thinkbroadband.com that found Be customers have speeds 127 per cent higher than the closest competitor. The site averaged out the speeds for 365,000 samples recorded between 6pm and 10pm at its site, to find that the UK's average download speed is 2.03 Mbit/s. 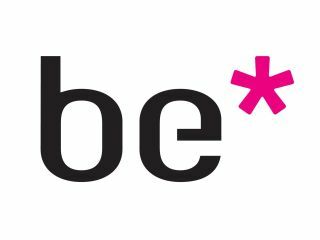 Be is owned by mobile operator O2 and was one of the first providers to adopt the faster ADSL2 standard. Depending on distance and quality of the copper line from the telephone exchange and other environmental factors, ADSL2 can provide speeds of up to 24Mbit/s, though it'll be a while before we can all reach those kind of speeds. Be also recently launched support for the Annex M standard, which increases upload speed to a potential 2.5Mbit/s - most residential uploads are just 256kbit/s.